When you need repairs to your home's garage door, our specialists are the team to call. We're the best in Darien for repairs, quality service, and the lowest prices. Look below to enjoy reading about some of our most recent projects! Customer Issue: An unspecified event involving a heavy duty lawn mower caused two of Mrs. Gardner’s garage door panels to cave in. Our Solution: The door was a Clopay Canyon Ridge metal-with-faux-wooden-overlay unit, replacement panels for which the team ordered and brought over as soon as they arrived. Untrack, unscrew, remove, and replace was all it took from there to restore the door to its former glory before returning it to its tracks. 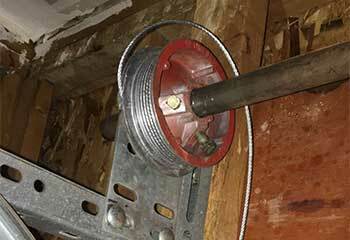 Customer Issue: Damaged garage door cable. Our Solution: Our professional technicians started the job by first loosening the extension springs on both sides to have an easy access to the cables. Once the ruined part was removed and replaced with a new one, we did the same for the second cable, as it wasn't in the best shape either. We then reattached the springs and checked the door's functionality to ensure it was able to move smoothly. 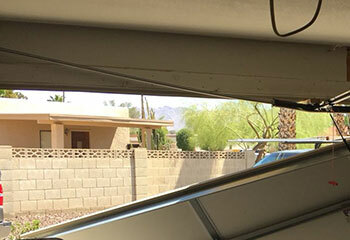 Customer Issue: Damaged garage door track. Our Solution: Following strict safety protocols, our technicians removed the rollers, pins and springs and pushed the door out of the way so they could easily access the damaged track and replace it with an exact match. 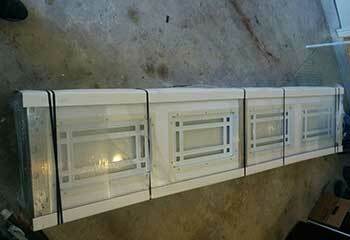 We then restored all the components back to their proper place and reinserted the rollers into the new track. 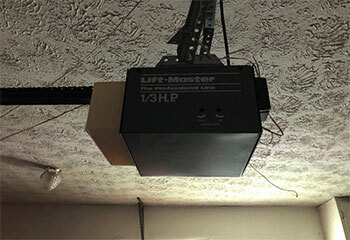 Customer Issue: Needed a new garage door opener. Our Solution: Based on our discussion with the customer regarding preferences and budget, our technicians installed the Craftsman 54931, an ultra quiet belt drive model with a battery backup feature and a tri-frequency system. This opener uses a proprietary app to control the door from anywhere with built-in Wi-Fi, so the customer was very pleased with the added convenience this offers.